The OctiPolar™ and DiamondPolar™ applicators are indicated for wrinkle reduction treatments. 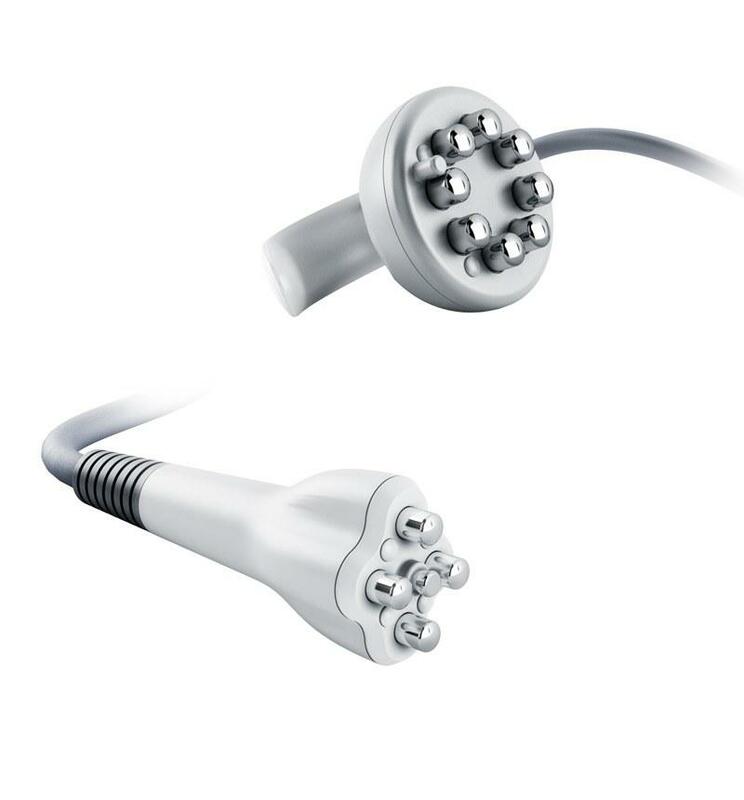 The OctiPolar applicator is intended for circumference reduction treatment by reduction of adipose size and enhancement of collagen synthesis as the result thermal and non-thermal collagen stimulation. 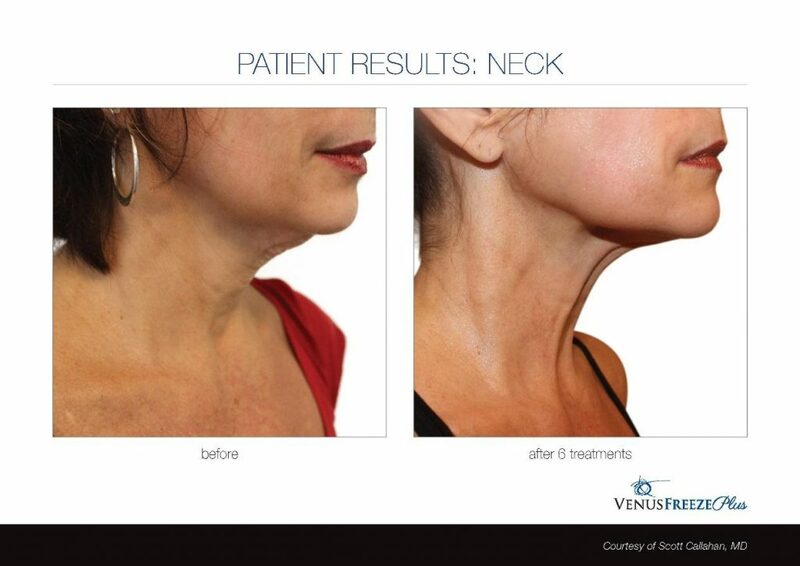 Venus RF utilizes multi-polar radio frequency and Pulsed Magnetic fields which produce a soothing and therapeutic heat matrix over the skin. The result is a slimmer figure with a more defined shape. 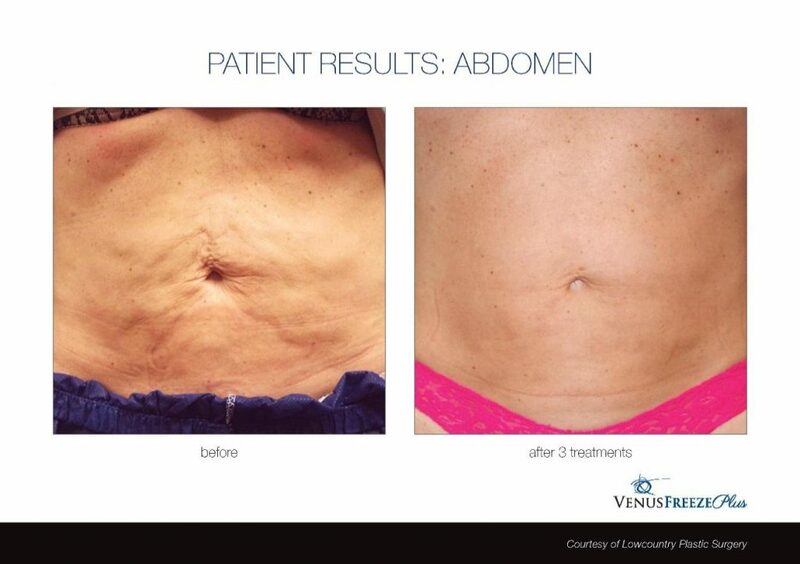 Today’s treatments can target both smaller, hard-to-hit areas like the arms and jawline, and larger, more common problem areas like the abdomen and thighs. 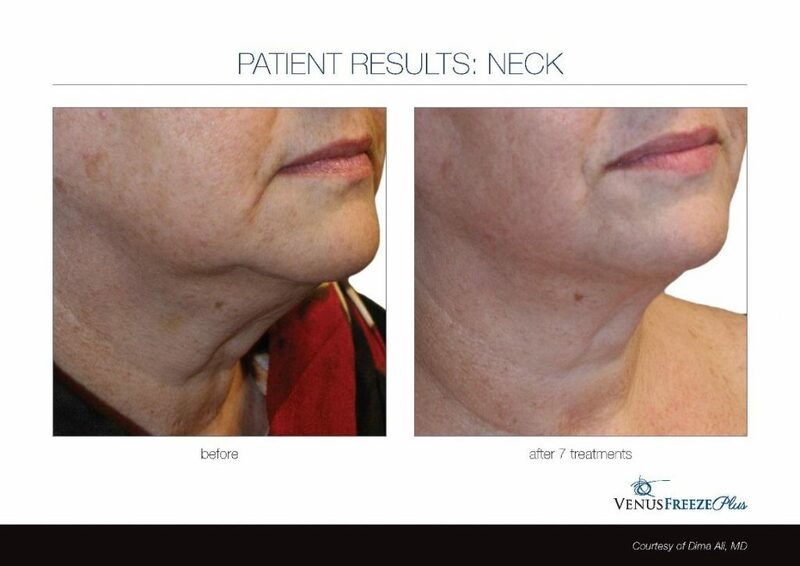 Most patients receive 6-8 treatments per area, with each session lasting around 20-30 minutes. Treatments are usually done once a week and require no downtime, so you can return to your daily activities immediately afterward. Consult Dr. Chahin to customize the right treatment plan for you. Advanced features to ensure your safety and comfort, so you can return to your daily routine immediately afterward.